Creating unforgettable experiences to help overseas visitors discover a deeper connection with this timeless jewel of Japan, and helping individuals and companies invest in the local Kyoto. Our Mission at Old World is to bring the world to Kyoto, and Kyoto to the world. Forged by adventure, united by the desire to create and share. After calling Japan home for the last 20+ years, Brad has always loved sharing the local stories, places, culture whenever friends visit Japan. He had a vision of creating a place where visitors can experience and enjoy its unique culture on a deeper level - a need that wasn’t being met by large impersonal hotels. In 2015 he purchased an old Kyoto Machiya and restored it to feature an authentic Japanese ambiance with modern western comforts. 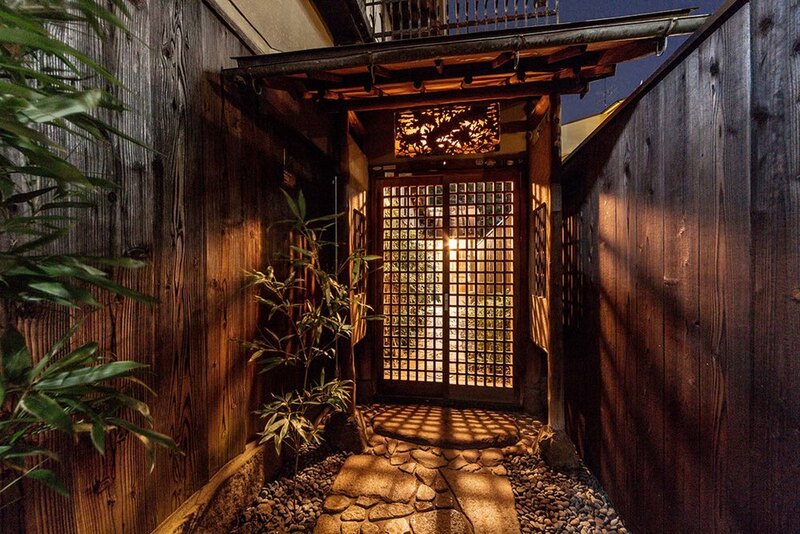 It is now one of Gion’s most desired accommodation, overlooking Kennin-ji, the oldest Zen temple in Kyoto. Brad's passion for hospitality and real estate began at Canada's leading hotel consultancy firm, PKF Consulting Inc. (PKF Canada), after having worked for two upper scale hotels, including Victoria Regent Waterfront and International Plaza Hotel. After coming to Japan to work in investment banking, he co-founded and served as CEO of Rainbow Partners Inc., taking it to acquisition by Nasdaq listed ROVI (now TiVo) in 2009. After founding Old World, Brad now looks forward to share the experiences and opportunities of Kyoto with the world on a larger scale, through projects such as the new boutique hotel development on the Kamogawa River. Dimitri is the architect of all that is digital at Old World K.K. Over the last 14 years in graphic design and digital marketing Dimitri has worked with clients such as Delta Airlines, Oakwood Premier and various Destination Marketing Organizations, such as Tourism Fiji and Ontario. His love of travel and learning languages was stoked from childhood. Being born in Ukraine, raised in Australia, and settling in Japan 12 years ago, Dimitri became fluent in 4 languages, and a keen student of several others. He gets a kick out of solving complex business problems and telling stories through his camera lens that evoke emotions and trigger action. Ryu Iwaya is the former Chairman of JAL Hotels and Hotel Okura’s Development Director with over 20 years experience as as leading hotel consultant. Ryu’s long and fruitful career has taken him from Japan to Germany, the Netherlands, Korea and back again, where he managed domestic and overseas Hotel Okura sites. Along the way, he founded and served as principal for two hospitality start up companies, as well as a the founder of the Hospitality Services division at KPMG FAS. He has also served as Chairman, and Chief Moderator of International Forum for Hotel Investment & Finance. Ryu’s love for the industry and the desire to pass on his wealth of knowledge to the next generation has seen him in the role of Lecturer at St. Paul University’s Faculty of Tourism. More recently he was invited as a lecturer to Waseda University. With such a wealth of knowledge in hotel development project planning, execution and analysis, Ryu brings an amazing amount of samurai-like wisdom to Old World’s ranks. Niki is our mastermind of math. She oversees all the bookings and payments at Old World, and ensures everything runs like clockwork all day, every day. Born in Tokyo, raised in California, and now based in Tokyo, Niki is no stranger to international culture. She is fully bilingual, and further encompasses the best of both worlds by being both highly diligent and a motivated true self-starter. Her international experience includes assisting production at Rafu Shimpo newspaper in Los Angeles, as well as SAT tutoring. Niki earned her sales chops on the retail floors of Nitori and Fujiya, and now aims to make an impact in accommodation property management at Old World. Contact us to learn more about Old World KK. See our projects that developed into unique accommodation, in the heart of ancient capital.